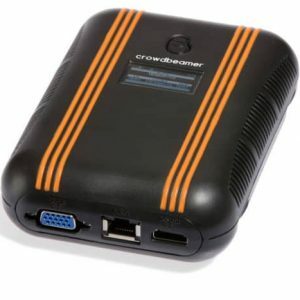 Crowdbeamer Go is the product that serves the needs of groups of up to 75 participants. If you’re looking for a presentation system to reach a larger audience or if you want access to all new features that will be released as future firmware updates or feature packs, check out crowdbeamer Enterprise. comes with access to free support & firmware updates during the warranty period. Crowdbeamer is a unique presentation system, bringing the benefits of real-time presentation sharing to both you and your audience – anywhere you want. No longer projecting your presentation onto the wall, it delivers up-to-the-minute handouts directly to all portable devices of your audience. 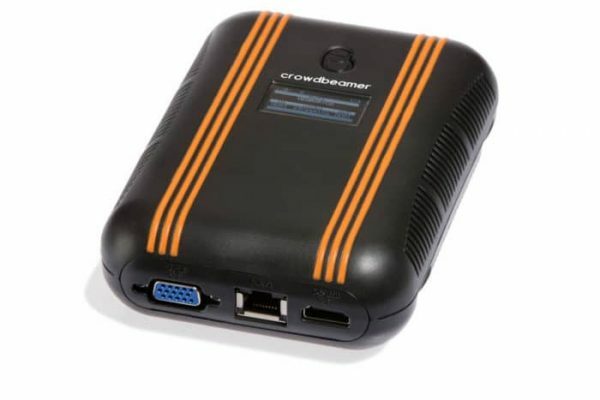 Crowdbeamer Go is flexible, mobile and works without an internet connection. Just connect any presentation device that has an HDMI or VGA output to crowdbeamer, and start sharing any type of content (including video) to engage your audience. a unique code to activate the device, extend your warranty period to 2 years(*) and get access to free firmware updates during that extended warranty period.